Punta Cana, on the east coast of Dominican Republic, has become the one of the most popular tourist destinations in the Caribbean. The pleasant climate attracts visitors year-round to the fine, white sandy beaches and turquoise sea. There is no better place for family fun in the sun than Punta Cana with the kids. The water is a delightful 27ºC and allows water sports of all kinds, from scuba diving to catamaran sailing. Punta Cana all-inclusive family vacations are a fabulous option for families, since all meals, drinks and most activities are built into the pricing. There is nothing to do but relax and enjoy your vacation! 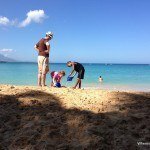 To make your planning ultra easy, here’s a list we compiled of the best Punta Cana family resorts including the best Punta Cana all inclusive family resorts that we could find! For travelers who want to take in the sights and sounds of Punta Cana, Barceló Bavaro Palace Deluxe All Inclusive is the perfect choice when searching for the best Punta Cana all-inclusive family resorts. This resort offers spacious family deluxe rooms that sleep up to 4 adults and one child, with a king bed, a twin bedroom and a terrace or balcony with a hot tub. Both bedrooms have garden or golf course views, air conditioning, an iPod dock and a flat-screen TV. With the city’s main attractions such as Arena Blanca Beach, Tower Casino, Mini Market within close reach, this resort is a convenient location. Facilities in this beachfront resort include a private beach, fitness center, sauna, golf course (within 3 km), and outdoor pool making it one of the best family friendly resorts in Punta Cana. 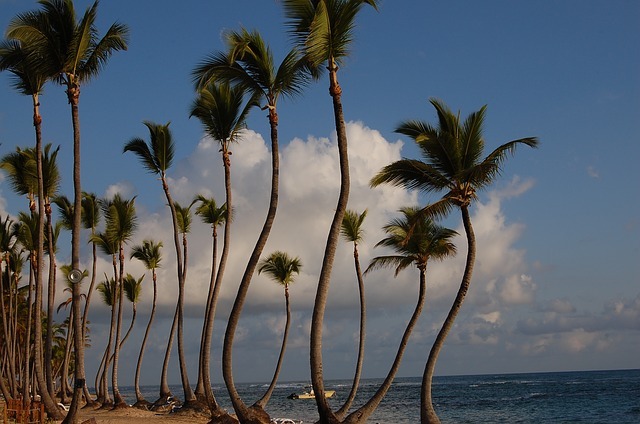 Located on Bávaro Beach, one of the top 10 beaches in the world according to UNESCO, the Vista Sol Punta Cana is located only 20 minutes from Punta Cana International airport. There are plenty of room options in this 471-room property, including the very appealing 2-level family duplex rooms with spectacular views, making this hotel one of best Punta Cana all-inclusive family resorts. The family rooms are spacious and ideal for family stays. The downstairs features a double sofa bed, modern bathroom, fridge, kettle, LCD TV and a desk and outside on the balcony there is a table and chairs. Upstairs a luxurious king bed, LCD TV and a desk provides for adult comfort. 4 restaurants allow for a variety of dining options. The landscaped gardens are home to ducks and peacocks and a Mini-Club is available for little ones from 9 – 5 each day and children can also play mini-golf with their parents. Lots of day trip activities are available, including swimming with dolphins and a Seaquarium catamaran boat ride. 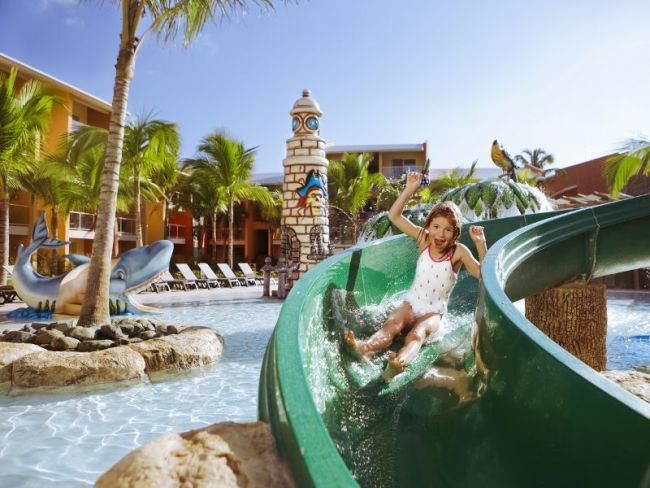 Outdoor playground and plenty of exercise options for adults will keep the whole family entertained at this, one of the best family friendly resorts in Punta Cana. An all- inclusive family resort in Punta Cana that stands out is the brand new Reserve at Paradisus Punta Cana, offering exclusive access to separate, sparkling new pools for kids and adults alike, and all-new, all-luxury collection of oversized Paradisus Resort Suites. The Reserve is an excellent choice for families, offering upscale, residential style accommodations. They are self-contained, luxurious and feature high-speed internet in rooms. There is an exclusive main swimming pool, a separate kids’ splash pool complete with fun slides, a Kids zone children’s club, and transportation to beach area and all other resort facilities. The private beach has full concierge services, and there are restaurants and bars and a poolside snack grill. Featuring a swimming pool, a free airport shuttle to and from Punta Cana International Airport, and free Wi-Fi throughout, the Punta Palmera is located a 5-minute drive from Juanillo Beach. The air conditioned studios and apartments include minimalist décor, a hot tub, washing machine and a terrace with Caribbean views. The private bathrooms feature a bathtub or shower, and the kitchens include a fridge, stove, microwave, minibar and dining area. For families wishing to have more space and independence, Punta Palmera Hotel is one of the best Punta Cana resorts for families. The Punta Palmera provides private chef service upon request and a snack bar, as well as a pool-side bar. El Village Shopping Center is a 15 minute drive away. This complex also provides babysitting and butler services upon request. It is within a 5-minute walk from the Punta Espada Golf Course and Caletón Beach Club. A spectacular beachside pool provides outdoor fun. 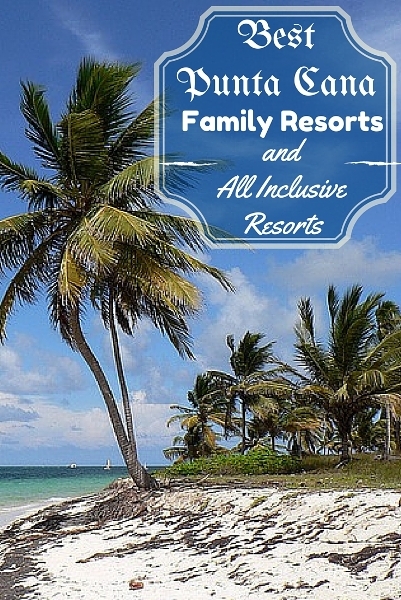 This luxurious resort is one of the top family resorts in Punta Cana. The family suites have 2 bedrooms. The master bedroom offers a king size bed and there is a second bedroom with twin beds (bunk beds), with individual bathroom and shower. These suites also have sofa beds in the living room. Maximum occupancy is 3 adults plus 2 children (younger than 12 years). Top-notch accommodations include free WiFi, outdoor shower and spa area and luxurious linens. The Koko Kid’s Club, for children from 4 to 12 years, features contests, games, scavenger hunts, arts & crafts and Koko’s Mini Spa. Highly trained staff ensure that kids of all ages will have a fun and exciting time. A full array of Koko amenities have been created just for you, bathrobes, slippers, storybooks, happy meals and many more surprises will make this resort our pick for the best family resort in Punta Cana. This budget apartment-style accommodation is located in the Bavaro neighborhood in Punta Cana, just 19.3 km from freshwater lagoons. For those seeking lower-cost accommodation, this is one of the best resorts in Punta Cana for families. Free WiFi is provided and free private parking is available on site; a flat-screen TV with satellite channels is featured in the rooms. Rooms accommodate up to 2 adults and 2 children and offer a washing machine, kitchenette, and 2 double beds. Baby gates are available. There is a shared kitchen at the property. Breakfast is included in the rates, offering good value at this Punta Cana kid friendly resort. Punta Cana Airport is 14.5 km from the property. Cap Cana GBL 522 Apartment – Located 12 km from Punta Cana International Airport, this apartment-style hotel is an upscale option for a Punta Cana family resort. Luxurious apartments include TV and balcony. Los Corales Beach Apartments – 2-bedroom apartments with air conditioning, full kitchens and balcony or terrace is a good choice, being amongst the best resorts in Punta Cana for families. Facing the beach in Bavaro, this resort offers free WiFi, a children’s playground and a fitness centre. Casa del Mar en Iberostar – Located 20 km from Punta Cana International airport and just 500 metres from the beach, Casa del Mar en Iberostar offers two and four bedroom villas with balconies, cable TV and a comfortable living and dining area. 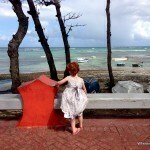 This self-catering accommodation is a perfect Punta Cana resorts for kids. Punta Palmera – Ideally Located 5 minutes’ drive from Juanillo Beach, these air-conditioned studios and apartments are one of the best family hotels in Punta Cana. They feature washing machines and terraces with sea views. Flor del Mar Hotel Ocean Front – Located on a private stretch of Cortecito Beach, Flor del Mar features outdoor pools, gardens, a variety of restaurants and apartments with ocean views. 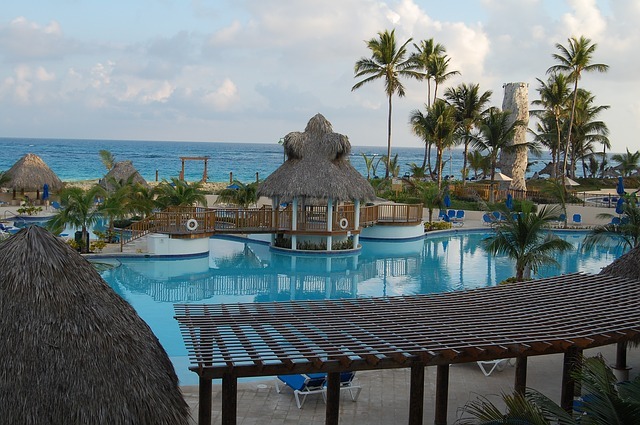 The hotel is one of the best Punta Cana family resorts and each apartment has 2 bedrooms, 2 bathrooms. a private balcony and satellite TV and kitchen facilities. What is your favourite hotel in Punta Cana? 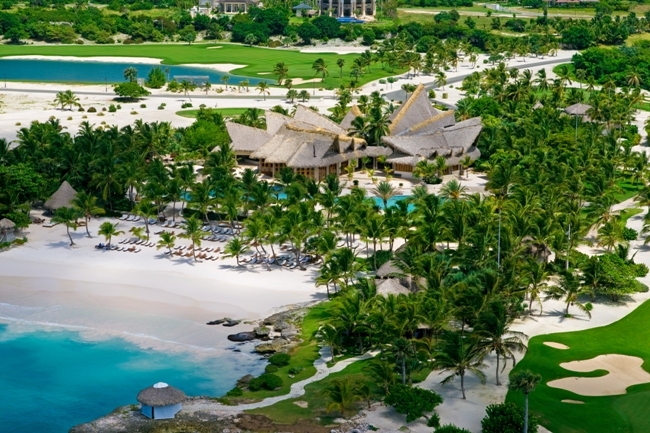 Not convinced Punta Cana has the best resorts for you? 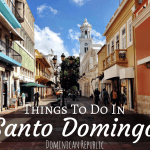 Read our full list of the best family resorts in the Dominican Republic. You can also read more about visiting this fabulous country in our travel guides. 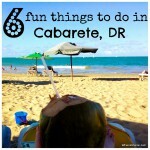 Or get started reading about another all inclusive experience of ours near Puerto Plata. Amazing place makes me want to go there!